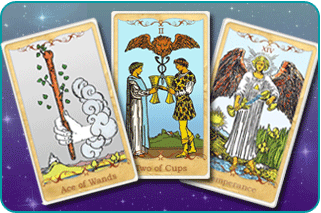 This is the three-card forecast beginning November 12 and lasting the week. The card representing the past (the timeframe leading up to November 12 upon which the foundation of the present is built) is the Ace of Wands. Today’s card, representing the present and the timeframe of this weekend, is the Two of Cups. Next week is represented by Temperance, the card drawn for the future. Leading up to today and this weekend, there has been a fertile development in your world. 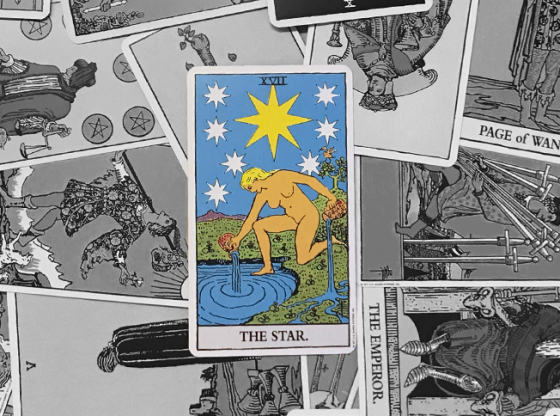 Wands are the Tarot deck’s cards of creativity and the Ace of Wands is the card of a concentrated, powerful and focused expression of that creativity. Did you recently have tunnel vision in preparing and carrying out a project? Was your normal level of creativity suddenly expanded until you felt like you could take on the greats in your chosen field? The card depicts the scene of a hand coming out of a cloud holding a large wooden walking stick, or wand. The wand is being offered to the person receiving this reading. Every one of the four Tarot Aces is a card that represents the universe offering you an opportunity. Since this card appeared in the past position, it can now be asked of you: did you take this opportunity? Aces are cards of beginnings, so think back to the week that was and analyze what you began, what was new, what required creativity and what set you apart as a force of putting something together. 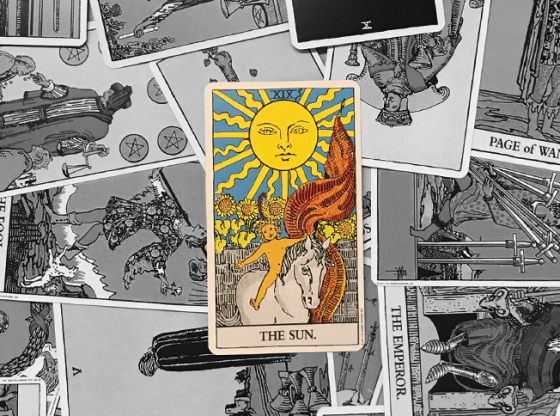 All of these things are representations of potential and the manner in which you made them manifest determines how close you came to fully embracing what the Ace of Wands was offering you. Whatever it was that was being offered, understand now that the offer in question is in the past. The transition into the present, Friday November 12 and the weekend, solidifies the past as the base on which you stand, regardless of whether or not you took advantage of what the universe was offering you. 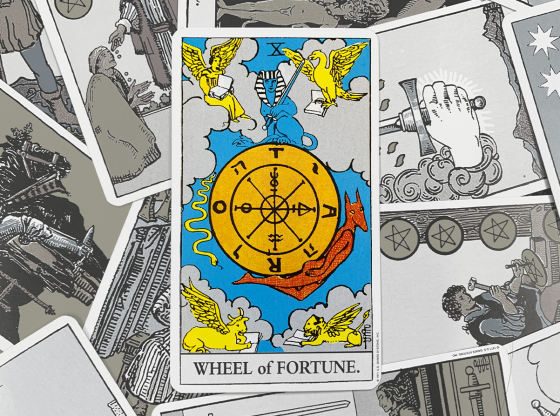 The Tarot is not like the weather; you might forget your umbrella on a rainy day and make a note to take it the next time you see dark clouds. 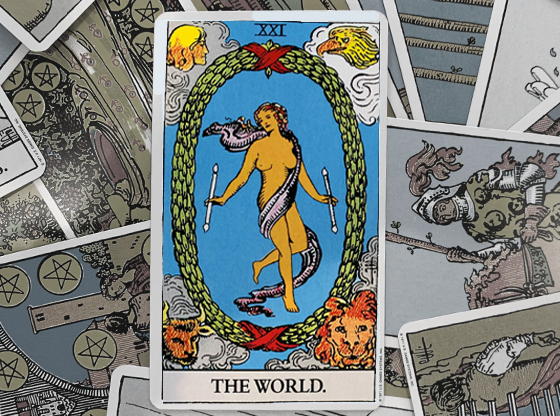 This might be the only time in your life that the Ace of Wands is drawn to represent the past. By always seizing the moment, you can be assured to take the most out of what the universe is offering you or learn what the cosmos is trying to teach you. The Two of Cups represents the present: November 12 and the weekend. How you experience this is based within the frame of how you took advantage of opportunities. 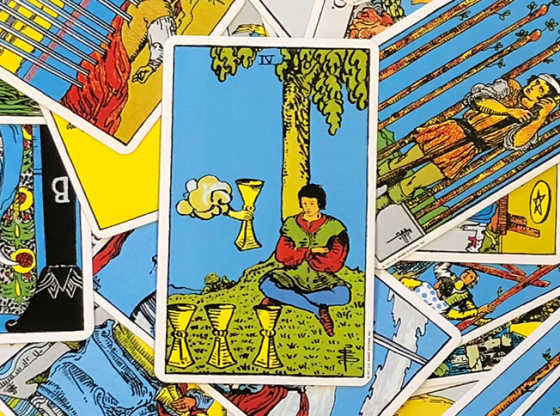 Cups are the Tarot’s expression of emotions. The Two of Cups is a powerful card representing togetherness and true bonding, often beyond words. One minute of a powerful enough shared experience can put two people closer together than one hour of reciting beautiful poetry. This card illustrates two friends exchanging their Cups. It is a sign of making a settlement, moving on together or acknowledging that some chemistry between you does in fact exist. Is it time to get back together after you two parted ways, or has fear of rejection held one or both of you back? 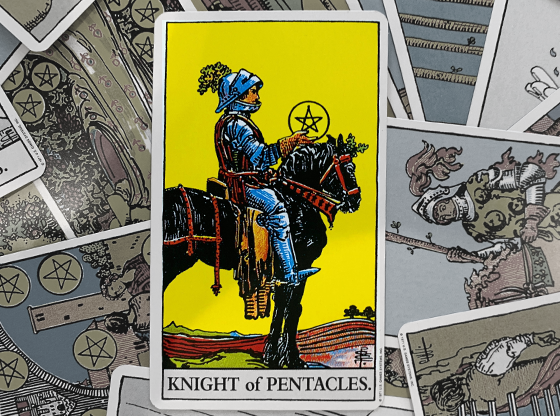 That Ace of Wands sure would come in handy right now; it would give you the bold ingenuity to make sure you two landed in the same place at the same time on the same mission. Perhaps you have worked to manipulate the situation behind the scenes and will be prepared to make the most of it by inspiring someone special to aim some affection your way. 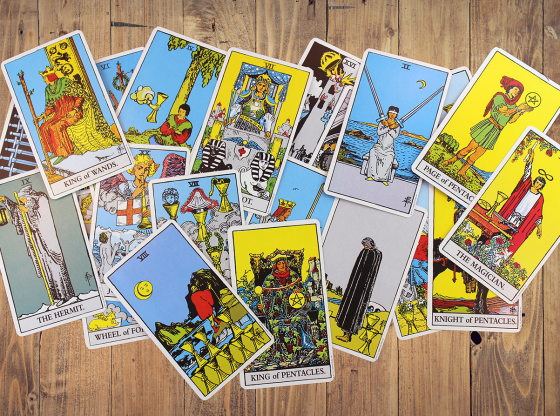 If you are already in an established romantic relationship, the Two of Cups signals that a business relationship may be blossoming and that there is no time like the present to maximize its role in improving your standing in life. It is one thing to be a team player, but it is another thing to get a big goal accomplished with only one other person there to share the load. You both know how hard you worked and what you got done. This card is also an indicator of an engagement or wedding. While mid-November falls after the traditional wedding season, you might hear some big news about an elopement of two co-workers, or a long-time “living together” pair will announce they tied the knot. The card drawn for the future is Temperance. This is the card of withholding personal gain for a future date. 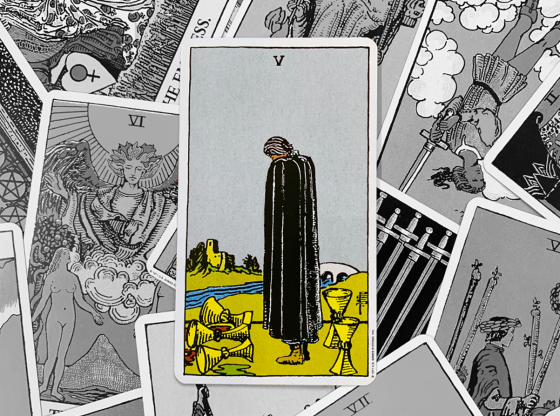 This is the Tarot’s signal of denying one pleasure until certain circumstances have been met. Temperance is ultimately a card of balancing the search for pleasure with pain avoidance while sticking to a healthy lifestyle in mind and body. In the future position, you can be assured that this card’s arrival means that no matter how passionate and intense this weekend gets, you will not go overboard into next week. Temperance is the ultimate “get a grip” card that causes you to reassess all situations in which you recently took a leap. Look for the near future to put you into an analytical mode that looks to see the good and bad in every possible outcome. You will be weighing the pros and cons of every facet of your changing world. You have been given some opportunities to use your natural creativity to advance a partnership. The likelihood that you two will get along is great, but by next week, you will be taking things slow as you balance what you want with a practical outlook on what you need. The universe conspires with your best interests, but your free will chooses how much effort you will give to move toward your destiny. This forecast has a natural flow to it because the Ace card is followed by the Two card; this is a natural numerical progression. 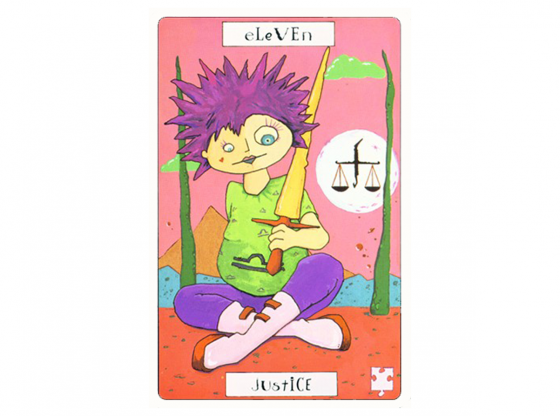 The Temperance card is numbered 14 in the Tarot deck, meaning that your hesitancy is a logic that is out of step with your emotions and creative impulses. Temperance will slow down but not stop the path of passion that you are now officially on. Of course, this is just a general forecast. 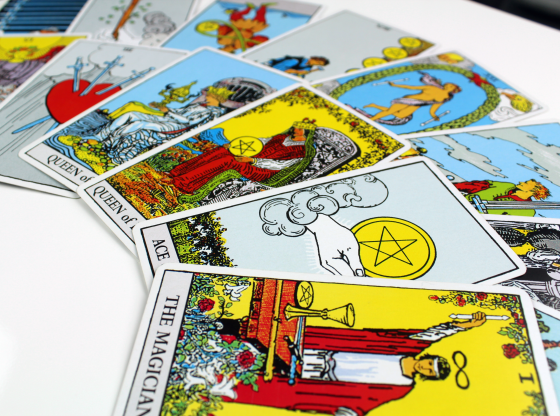 For a more detailed forecast personalized to you for your week, month or year ahead, call a Tarot reader today.